4th Avenue is Tucson’s unique shopping and dining destination representing our local community’s eclectic flavor. Here, at Fourth Avenue Tucson AZ .com, you will find everything you need to make the most of your 4th Avenue experience. There’s information, pictures, videos, and maps describing everything you need to know about this vibrant and lively Tucson treasure. You Have to Come Check Out the Great Shops and Diners on 4th Avenue! I find myself on 4th Avenue at least once a week for any number of reasons. I love that it’s so close to all the mini downtown areas of Tucson which includes 4th Aveneue, Congress Street and Main Gate Square (University of Arizona’s mini downtown). The Sun Link Lightrail Modern Street Car connects the three, making it so easy to get from one place to the next and if you want you could stroll through the disco led lit up underpass where you can hear many talented street performers adding an eclectic unique atmosphere that is not present in many places. Did you know Tucson is also one of the most bikeable cities in the country and the city has many current plans for growth and expansions including building and rearranging roads downtown and new unique business’s have been joining Tucson’s downtown steadily. There’s Always A Party Happening On 4th Ave! One of the things I love most about 4th Ave Tucson is there are almost NO Franchises! Almost everything is a creative, unique, locally-owned small business. The restaurants and coffee shops only serve the most delicious food and drinks, especially if you like authentic Mexican food! The shopping is fun and unique filled with lots of thrift shops and hand crafted goods. And the nightlife is wonderfully eclectic and growing with a wide range of activities for all ages of adults from college kids to young professionals to mature adults, there’s something for everyone. If you fall in love with Fourth Avenue (and I’m confident you will) you may find yourself wanting to live close by! The area is filled with charming bungalow style homes with tons of character. There are several industrial chic lofts near 4th Avenue as well. And if you’re into newer and greener, there is a great community of homes just on the other side of downtown Tucson. The light rail and modern streetcars has made a lot of homes very convenient to Fourth Avenue. The presence of The University of Arizona, Raytheon and the Military Base keep Tucson’s economy stable, mixed the uniqueness of 4th Avenue business’s, breathtaking naturescapes and low cost of living, make Tucson of the of the most sought after places to live. Sound like your kind of urban living? 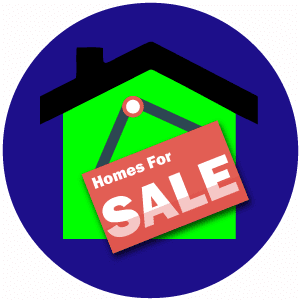 Then check out the maps of homes for sale and neighborhoods nearby. Tucson Things-To-Do Calendar – Looking for some excitement? Our events calendar is full of fun activities and events for Tucson and nearby places. How about a Tucson Resort? Or one of the local farms? Or towns such as Oro Valley, Marana, Vail, Bisbee, Sierra Vista, Patagonia, Tubac and well, you get the gist. We update the calendar regularly and add everything we can find and you submit. Add this page to your favorites (Ctrl + B) and check back regularly when you are looking for exciting events happening in Tucson, Arizona. Restaurants – I love food. If you’re reading this, odds are you do to 😉 Find your passion at the great restaurants located in and around 4th Avenue and Downtown Tucson. Whether looking for a quick bite at Brooklyn Pizza Company or a little international flavour, Downtown Tucson should be your first stop. Want a treat? Try the non-traditional Mexican dishes at Maya Quetzal! Featuring a Yucatan and Central America inspired menu and laid-back atmosphere, you can’t help but love their fresh take on Mexican food. Bars and Lounges – It’s Saturday night, you have a hot date, but you don’t know where to go. Look no further than our Bars and Lounges section, detailing where to get a great drink or catch a live band. Retail – 4th Avenue Tucson features a diverse selections of specialty shops and boutiques to visit. From bookstores that cater to local authors (Antigone Books) to stores that have a little something for everybody (Hippie Gypsy), you are sure to discover new interests on Fourth Ave.
Services – They say a picture is worth a thousand words… well, a picture in a frame from Barb’s Frame of Mind is worth atleast twice that. While you’re down here, visit the Historic Y (just off the beaten path) to catch a dance class or theater production. It’s a whole community packed into one office complex! Events – Fourth Ave Tucson is known for the fun, family-oriented activities provided by local shops and business. Be sure to check out the Fourth Avenue Street Fair, featuring over 100 different merchants, exciting live entertainment, and food options you can’t find anywere else. News – 4th Avenue is changing before our eyes. Keep up-to-date with all the latest Tucson Light Rail (Modern Street Car) developments and learn about the evolution of the 4th Avenue Underpass. Real Estate – There is nothing better than living near the light rail on 4th Avenue or Downtown Tucson. You will have a world of entertainment and culinary options all within walking / riding distance. Whether looking for a home or condo, use our Free Relocation Package to get you started today! About Us – Learn all about me and my team of talented sponsors. (Kristi Frank with American Family Insurance and Phaedra Wilson with Sunstreet Mortgage). 4th Avenue Links – There is far too much to 4th Avenue for me to fit it in one tiny website, so I searched the web and found great resources for your discovery of Fourth Ave Tucson. 4th Avenue Videos – You have to see Fourth Avenue in action to really appreciate the diverse downtown culture. Check out these videos to get a better feel for the 4th Avenue vibe.